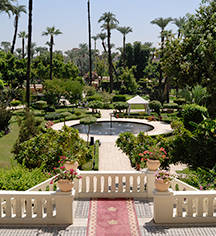 Perched on the Nile River amid luxuriant tropical gardens and ancient temples, Sofitel Winter Palace Luxor is a historic hotel offering unrivaled hospitality in Luxor, Egypt. Blending rich colonial design with the glory of Pharaonic times, this elegant palace offers a distinguished experience in a romantic setting. Since 1886, this five-star hotel has been the choice destination for luminaries and dignitaries and has remained a popular choice for today's political and cultural elite. Just steps from some of Egypt's most celebrated attractions and cultural landmarks, the hotel is a convenient starting point for exploration and entertainment. Offering 104 guestrooms and suites, a variety of refined and casual dining experiences, refreshing swimming pools, and unrivaled service, Sofitel Winter Palace Luxor is truly an authentic treasure in and of itself. 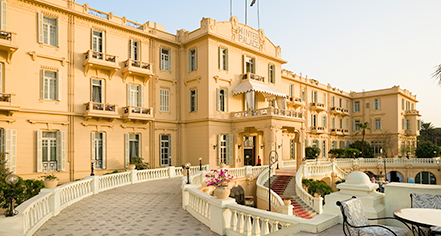 Sofitel Winter Palace Luxor, a charter member of Historic Hotels Worldwide since 2014, dates back to 1886. Howard Carter discussed plans for his exploration at the Winter Palace just hours before he uncovered the tomb of King Tutankhamen; after the discovery, the hotel hosted the international press corps and Carter announced updates on the tomb from the entrance steps. Airport Transportation: An airport shuttle may be arranged through the hotel's concierge, $100 per vehicle one way. Early Check-In/Late Check-Out: Subject to availability, rates may apply. Perched on the Nile River amid luxuriant tropical gardens and ancient temples, Sofitel Winter Palace Luxor is a historic hotel offering unrivaled hospitality in Luxor, Egypt. Blending rich colonial design with the glory of Pharaonic times, this elegant palace offers a distinguished experience in a romantic setting. Learn more about the History of Sofitel Winter Palace Luxor .